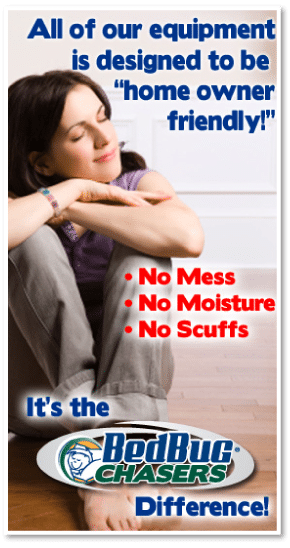 Get Rid of Bed Bugs Quad Cities of IA and IL in One Day! If so you can get rid of bed bugs Quad Cites of Davenport IA, Bettendorf IA, Rock Island IL and Moline IL in Just ONE DAY with little to NO PREP! ONE Bed Bug Treatment DONE in Just ONE Day – “ONE & DONE”! Do I Have Bed Bugs, well if you wake up in the morning with tiny, itchy bites on your body, there is a very good chance that you have bed bugs. However, do not assume that every bite mark is from bed bugs, look at the 1 DAY Quad Cities BED BUG bite pictures below. Even a doctor cannot give a positive diagnosis simply by examining Quad Cities bed bug bite marks. They can only suggest possible causes for what may have caused the bites! Good News you can Get Rid of Bed Bugs Quad Cites of Davenport IA, Bettendorf IA, Rock Island IL and Moline IL with BedBug Chasers BED BUG Pest Control to end bed bug bites. If you see bugs in your home on or near your bedding or other furniture, or are experiencing what you think are Quad Cities bed bug bites you should have your entire home inspected by a qualified professional bed bug dog, like the dogs BedBug Chasers use.